Siri is an application available in iPhone 4s which make the phone popular and different from other iPhone version. It was available in iTunes prior to the release of iPhone 4s. However Apple decided to make this app an exclusive use of iPhone 4s. Since then, there are lots of attempt to use the Siri in jail broken iPhone. Spire is my (along with Ryan Petrich) new tool for installing Siri on previously unsupported, but jailbroken, devices. Spire is a small download, but while installing it will download Siri itself (directly from Apple). Spire is available in Cydia right now — go get it!This will use about 100 MB of data, so please connect to Wi-Fi before installing. The coder claims that this new tool has no copyright issues. But it needs to download 100 MB files from Apple server. Spire allows users to specify their own proxy server. Furthermore, Spire is still not a complete solution. 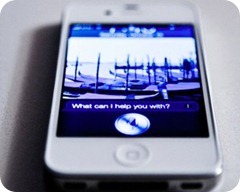 Apple still requires authorization to use Siri, so information from an iPhone 4S is still required, the coder added. Note: We have not yet tested this new application and downloading this application is at users own risk. It is just being reported in this blog. However we welcome comments and thoughts about the subject. hi sir i like your help as my iphone 4 in somalia is not accessing to the net.